Denkami's writings: Fossil CH2600, a metal watch for men. 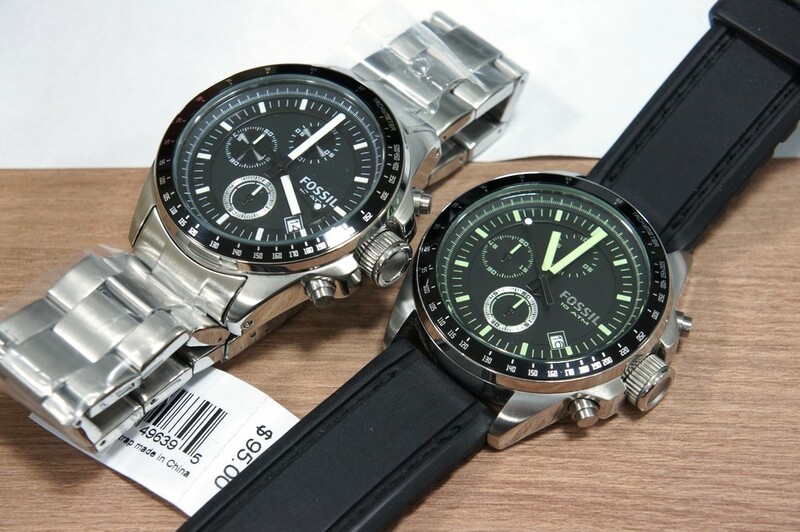 Fossil CH2600, a metal watch for men. It was a few months ago, I bought CH2653 on Amazon for almost USD 90. And I wonder: this is really cool stuff ! Urethane band sewed each side for duration. 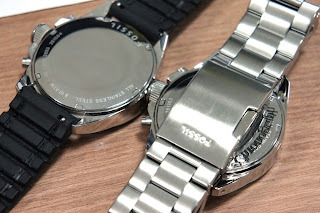 Tachymeter printing also good. Little bit heavy weight. It's OK. So I have impressed at my CH2653, and began to find metal band one. It was a base model of all CH26xx. A simple outfit. easy to read what time is it now. Wide metal band, a little bit heavy weight. 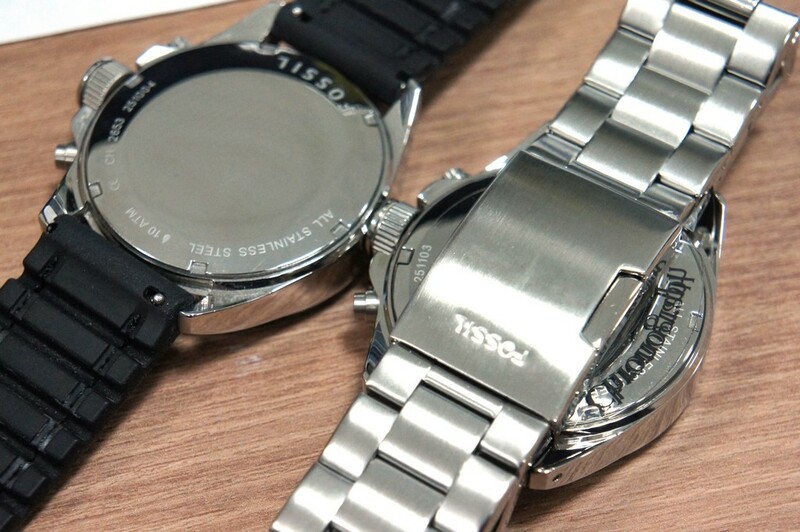 same design with CH2653. It looks so good to me. so I purchased it on Amazon. 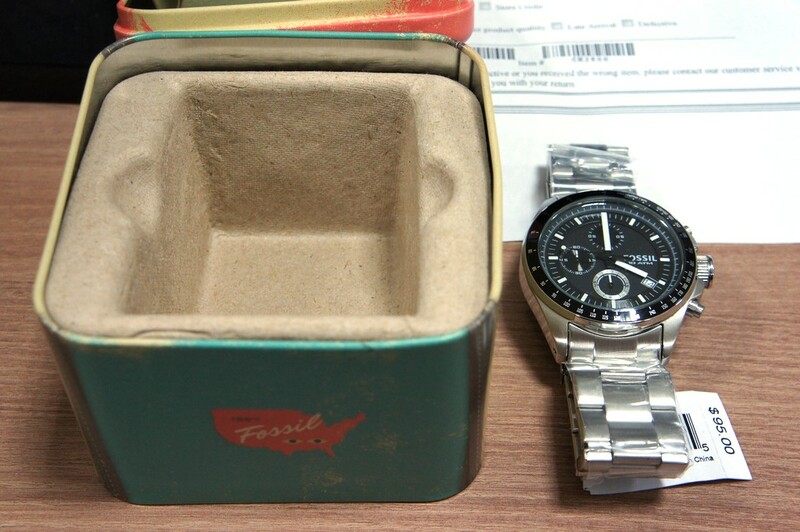 Fossil always using same metal box. 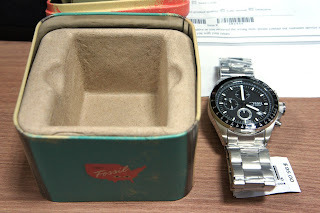 Actually I don't like this metal box for carrying any metal band watch. whatever, I can use this box for anything else. and it is good function for recycling package. It is easy to clean but need care to any scratch when you released them to anywhere. 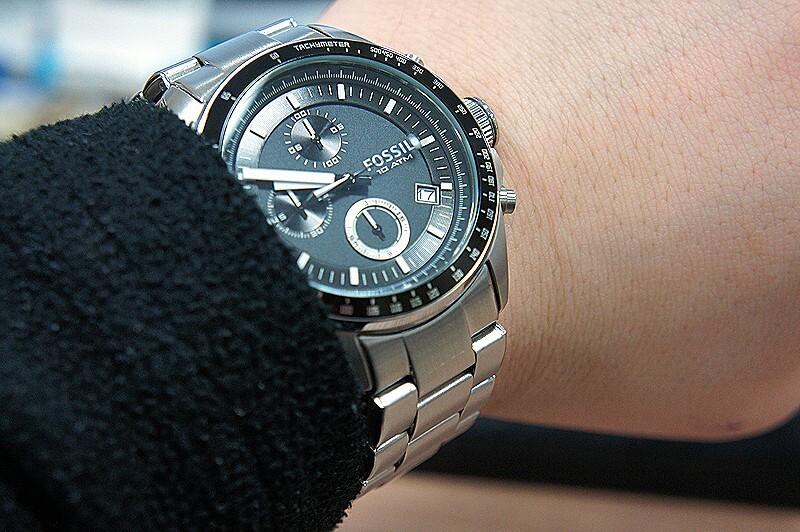 fit on my wrist, it's looks perfect on me. I like feeling heavy on my wrist with something like big watch. Panel and hands are working well and second hand indicates right number. By pressing start/stop and lap/reset button is smooth. Finally, Value for money is really nice. It will be a good choice.